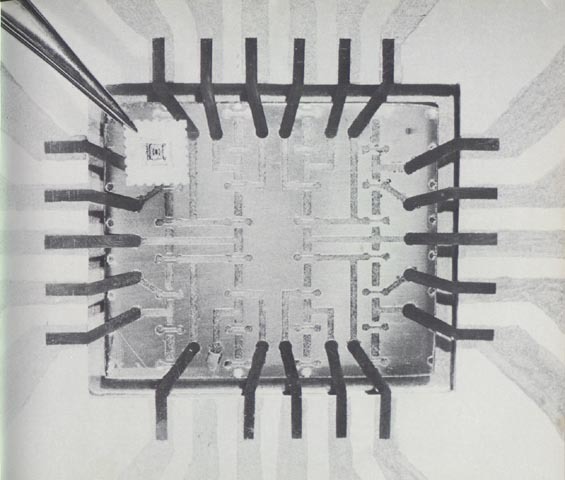 The mock-up at right shows one of the first ICs made entirely of MOSFETs (the bar-bell-like elements). The actual chip is in the tweezers toward the upper left. A general-purpose logic chip, it contains sixteen transistors. Actual size of the chip: 0.05 x 0.06 inches.